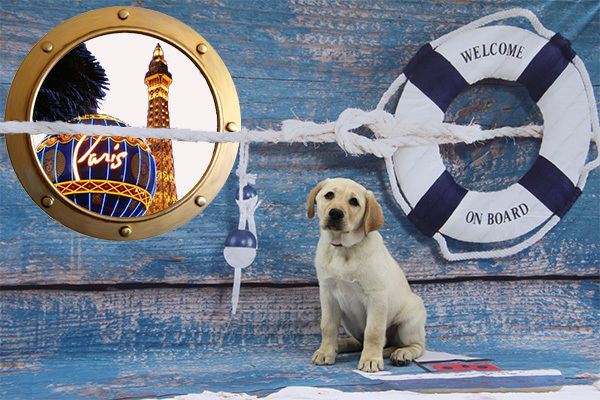 Join us in Las Vegas November 15-17, 2018 for Guide Dogs of America’s annual charity weekend. A sporting clay event and a motorcycle ride will take place on Thursday the 15th. The weekend’s activities will culminate on Saturday the 17th with the 38th annual William W. Winpisinger Charity Banquet at the Paris Hotel. Dress in “cruise casual” because the evening will be a “bone voyage” party. We will be honoring this year’s Gift of Sight recipients IAM General Secretary-Treasurer Dora Cervantes, GDA Graduate Teresa Blevins with IAM Aerospace Coordinator Tony Blevins, and National Group Protection, Inc. This is a great opportunity to support the Machinists Union’s No. 1 charity and have a doggone good time in the desert. Register early to guarantee space for you or your group.